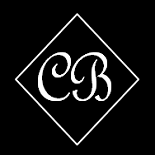 I have talked before about food prep and meal planning. And I have said before, and will say again, that if there is ONE thing that helps keep me on a path of healthy eating it is these two things: meal planning and food prep. I was feeling extra energetic, had a fridge full of food that needed to get used so it doesn’t go to waste, and so Sunday morning became an epic food prep party in my kitchen. As I said on Twitter the Casa Beebe kitchen was in full effect! 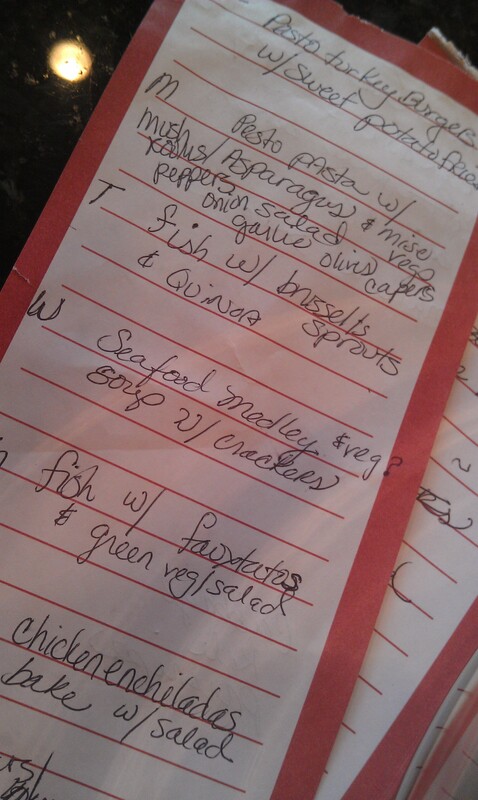 Fist up: an inventory of stuff in the fridge that needed to get used, then a meal plan, and then a list of prep to do. Next step was to pull everything out of the fridge and get organized. The hard-boiled eggs and the sweet potato wedges were the first things to get going. While those were cooking I started in on the veggie chopping. 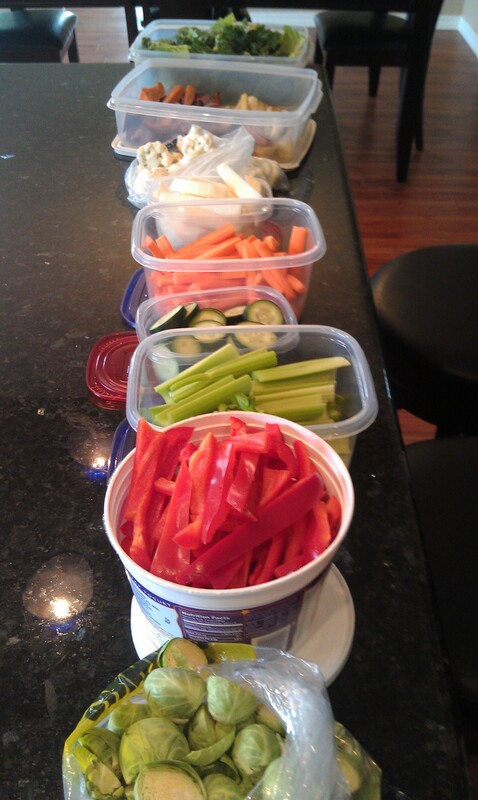 Carrots, cucumbers, celery, jicama and red peppers. 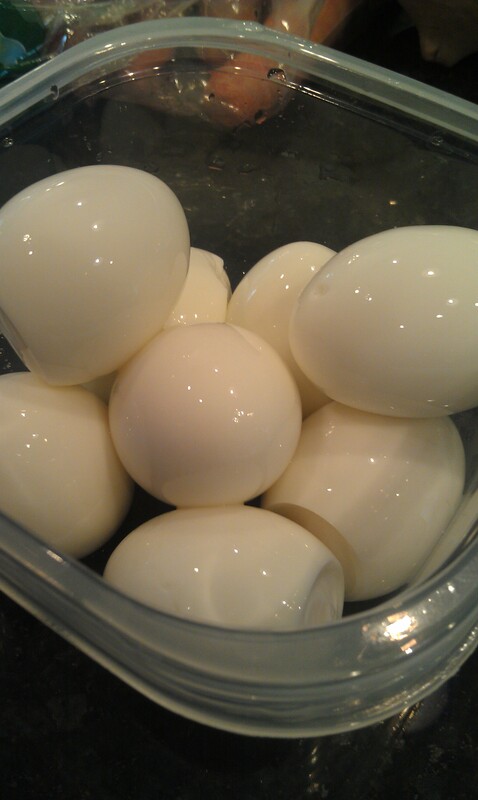 The eggs were done so I got them shelled and put away. 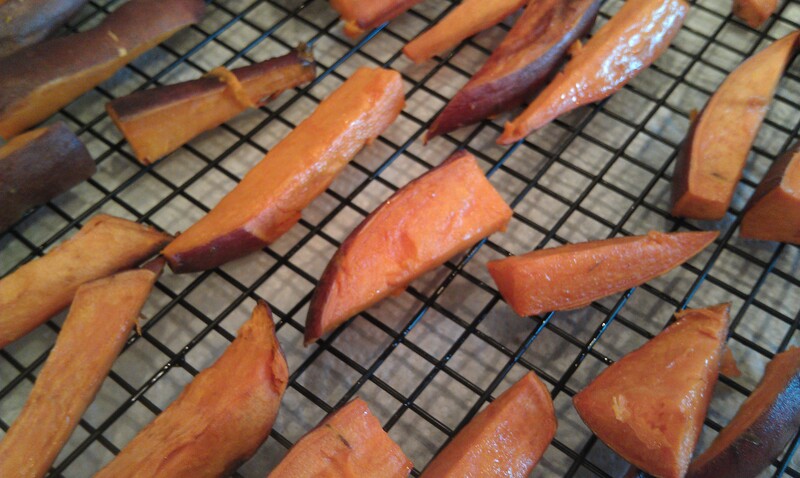 I wanted to make some roasted parsnips so I got those going and into the oven with the sweet potatoes. 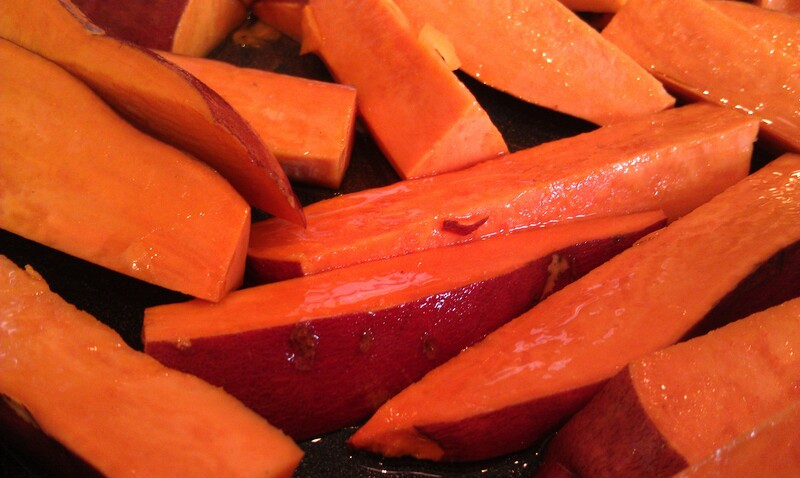 After just a few more minutes the sweet potatoes were ready to come out. I put them on a cooling rack over some paper towels to let any extra coconut oil drip off. While the parsnips cooked I got a pot of quinoa going. 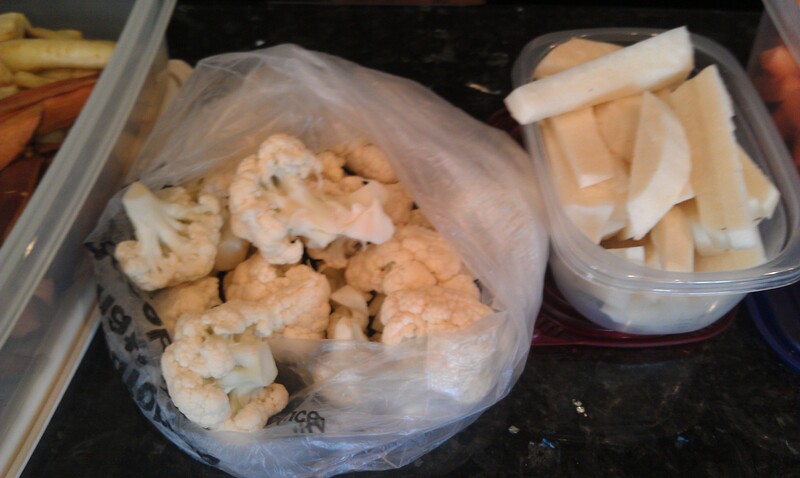 While that boiled and simmered I went back to veggie chopping. 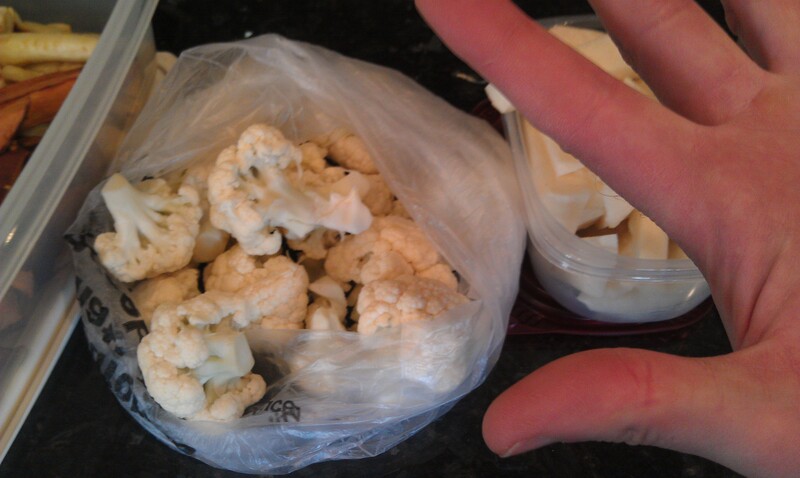 I chopped up a head of cauliflower and a bag of brussels sprouts. I am making cauliflower fauxtatos later this week and sautéed brussels sprouts, so having them all chopped and ready to go will make dinner prep that much simpler! I am already a bad photographer, but Chris being silly doesn’t help. 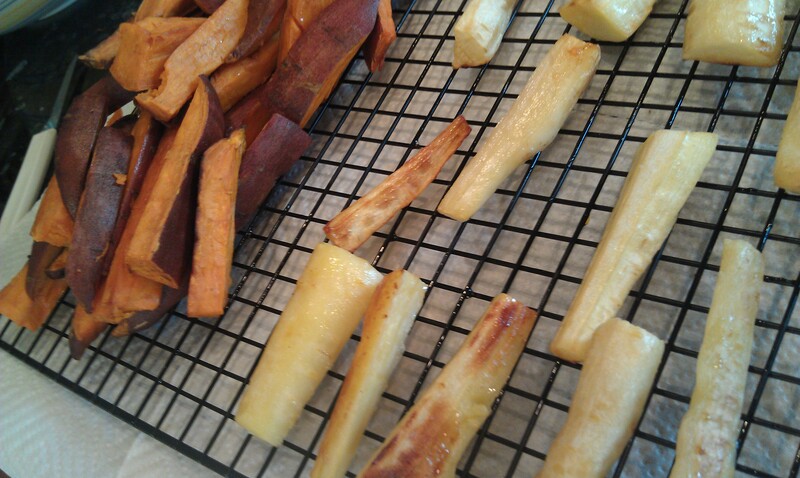 Quinoa was done and so were the parsnips. 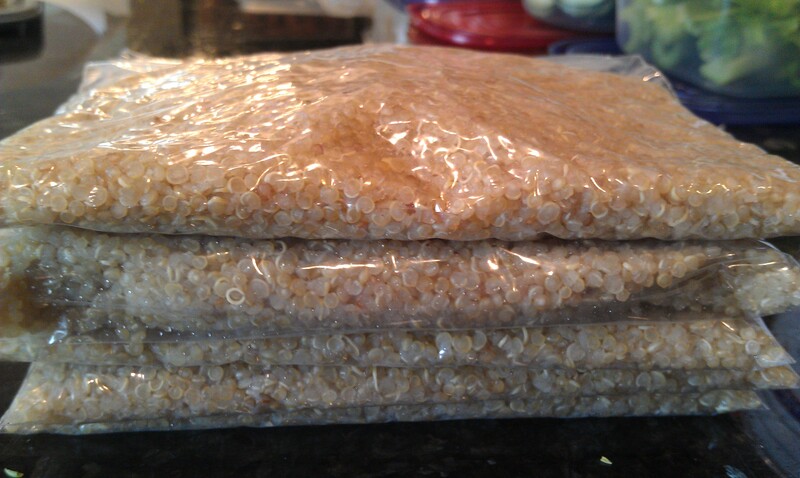 I ended up with 5 cups of cooked quinoa, which I packaged in 1 cup servings and stuck in the freezer. 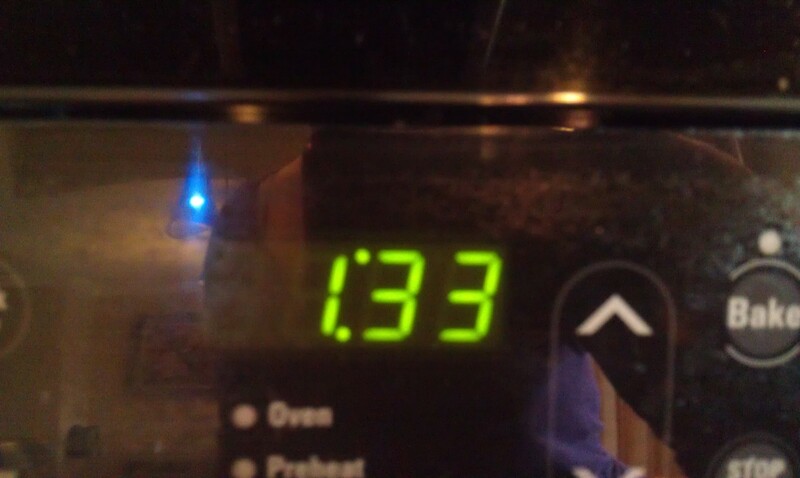 They defrost in about a minute in the microwave. So easy! I also prepped a big bunch of cleaned and cut lettuce for easy salads and sandwich additions. 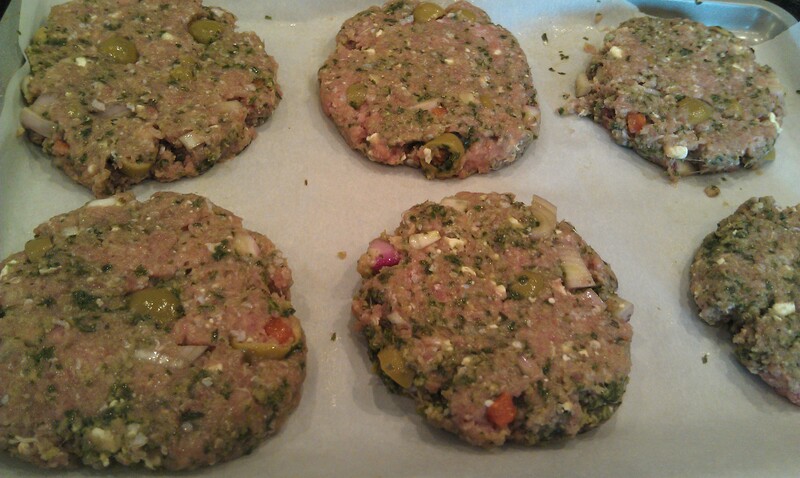 Now that I was done with all the veggie prep I could start cleaning up some and move on to the turkey burger prep. I mixed all the ingredients for our pesto turkey burgers, and then made patties, placed them on parchment paper on a cookie sheet and then covered them with plastic wrap and stuck them in the fridge. I was making them for dinner that night so I wasn’t too worried about wrapping them up, but I have also pre-made and frozen these burgers in the past and they cook up gorgeously! It took about 2 hours from start to finish to do all this prep. 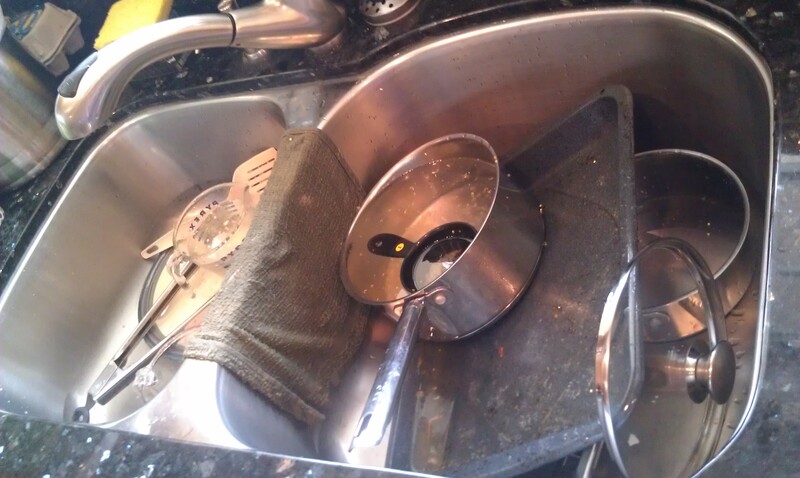 Then, just because I was curious, I decided to keep track of how long it took to clean up. 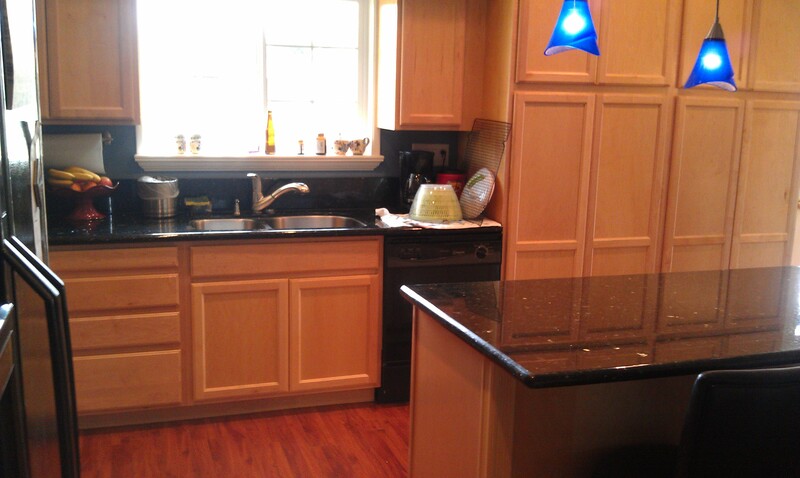 Now, I admit, I am a clean-up as you go kind of girl, so it isn’t a horrible process, but still…after two hours of food prep how long does it take to clean the kitchen? 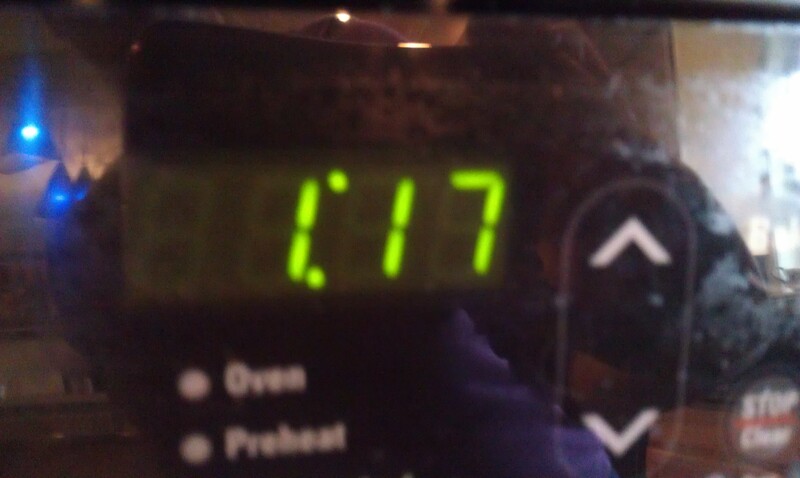 Sixteen minutes. And this included cleaning up the floor on my hands and knees. 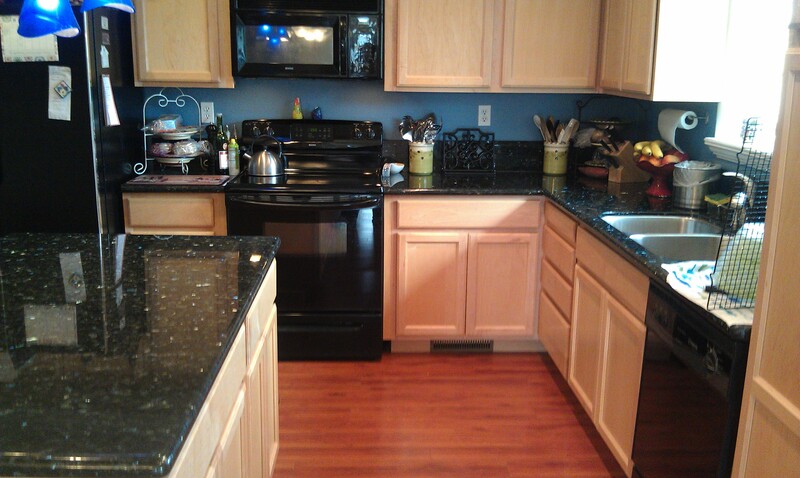 Next time I’m complaining about cleaning the kitchen remind me that in sixteen minutes or less I will be done. Probably more like 8 or 10 on a regular night. Whew! 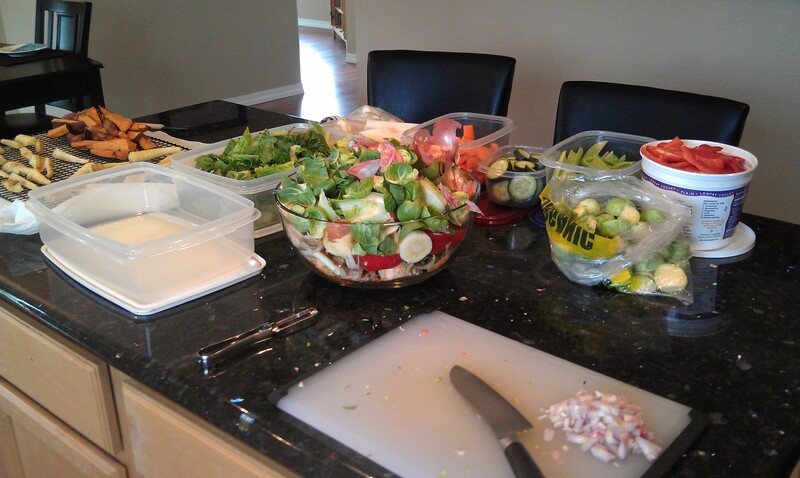 That was a big ole food prep extravaganza! Totally! 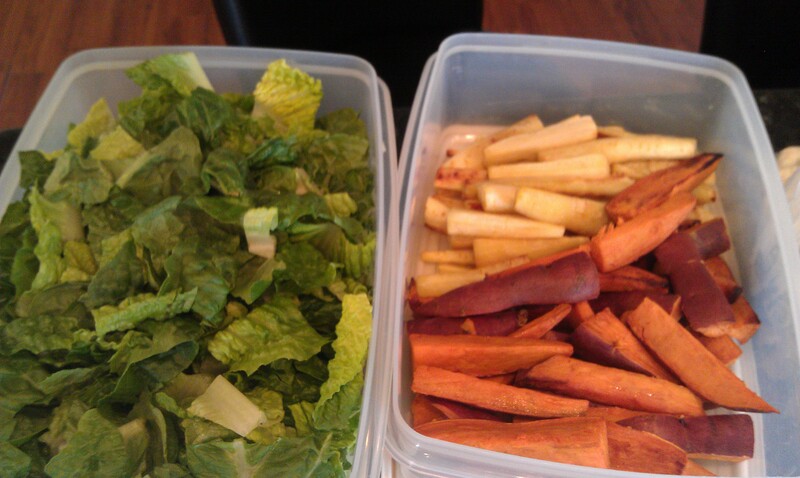 I have already been snacking on great food, easy lunches and half-prepared dinners the last two days! The rest of the week is looking equally simple. Food prep does take a little time, a couple of hours plus sixteen minutes of clean up, but the pay off throughout the week of time saved and healthier food consumed is really priceless! If you want to start small with food prep here’s my suggestion: do something basic and easy, like hard-boiled eggs, or chop up some carrots. Don’t go all gangbusters your first time out and get overwhelmed and quit. You will find, over time, how much food is enough or too much for your week. Chris and I will have little difficulty plowing through all this food this week. It will save us money by not eating out, because let’s be honest, half the time I want to go out because I don’t want to have to do any work to make dinner. Well, the work is already mostly done. Do you food prep? If not, what’s holding you back? Any questions I can answer that might help? 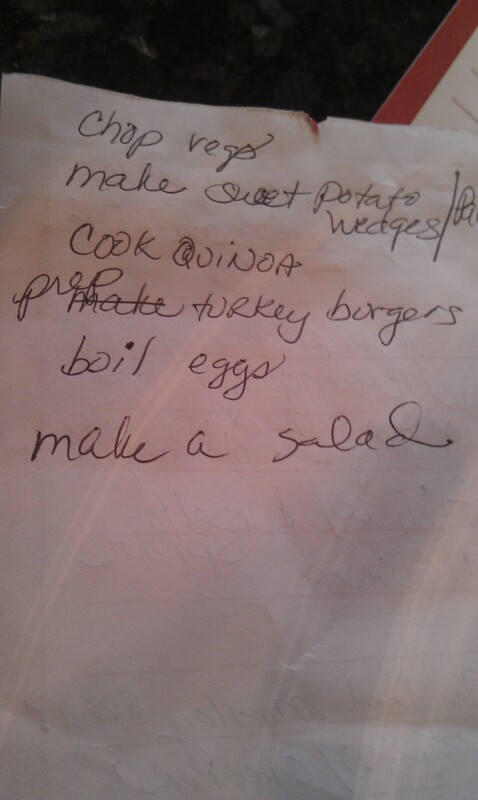 I just don’t see any drawbacks to food prep. 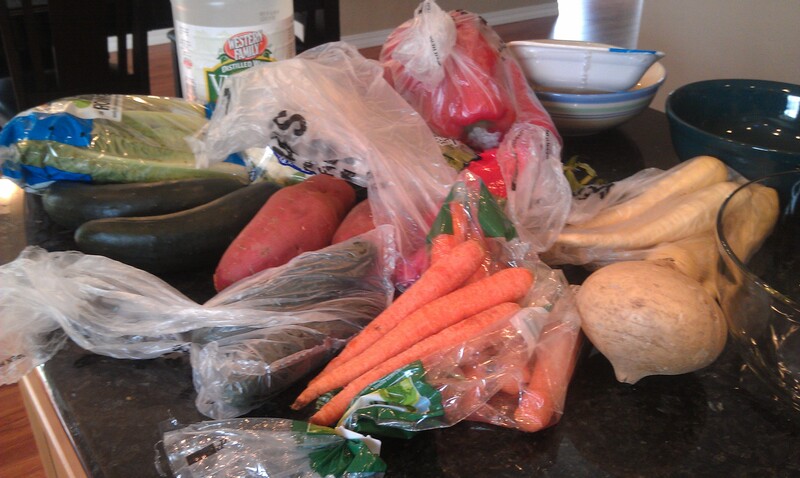 This entry was posted on March 26, 2013 by Corrie Beebe in food, health, meal plan.